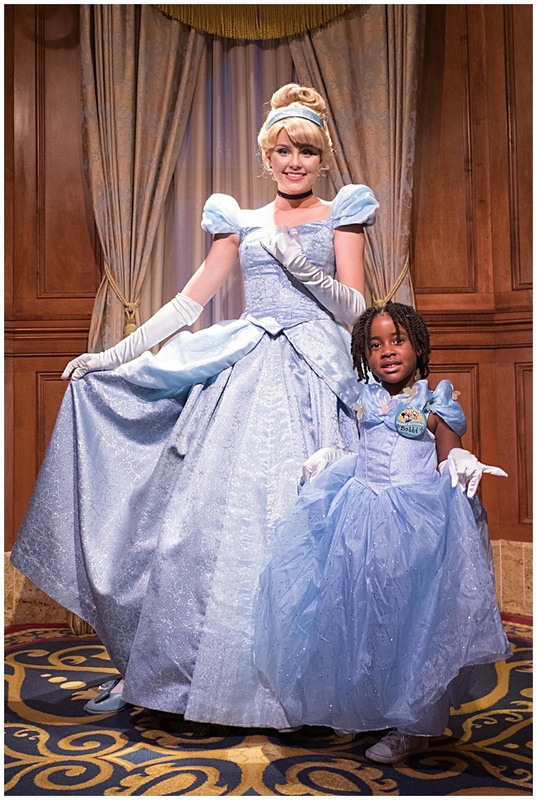 I’m not sure how a 4-year old gets to have this much fun on her birthday. 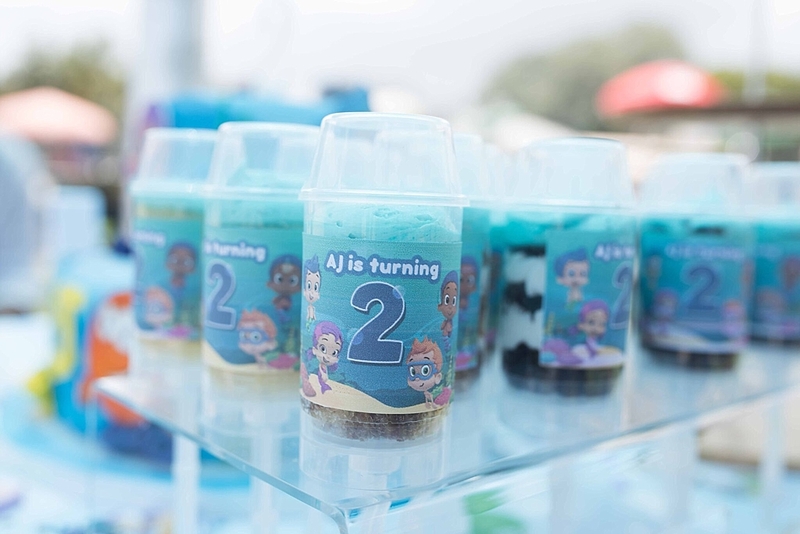 When I turned 4, I celebrated with a cake at home…maybe at school…or it was one or the other. 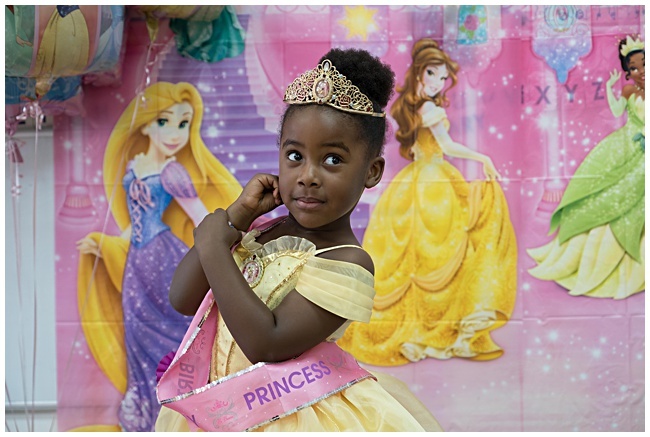 Bobbi Elle’s 4th Disney Princess Birthday Bash was one for the books! 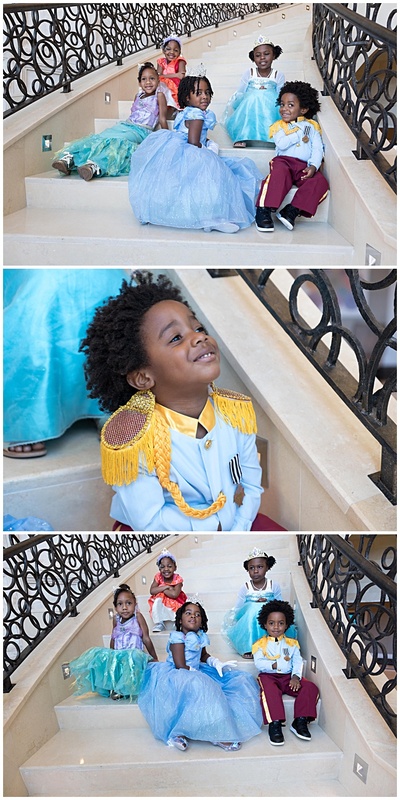 She is totally into her princesses, we even did a whole photo shoot theme around it. 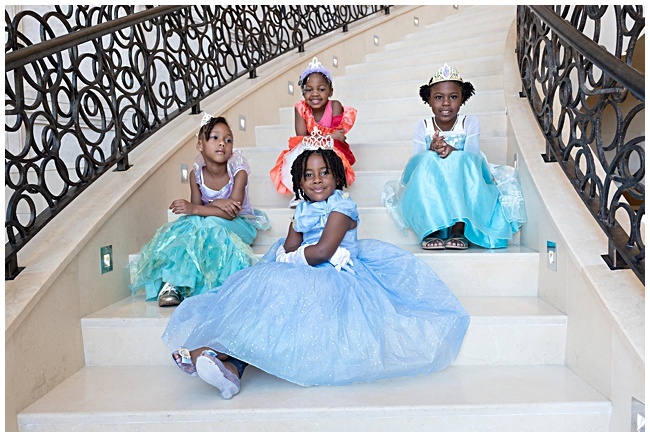 She has a rack of princess dresses in her room ready to play dress up whether it’s with her friends or by herself. 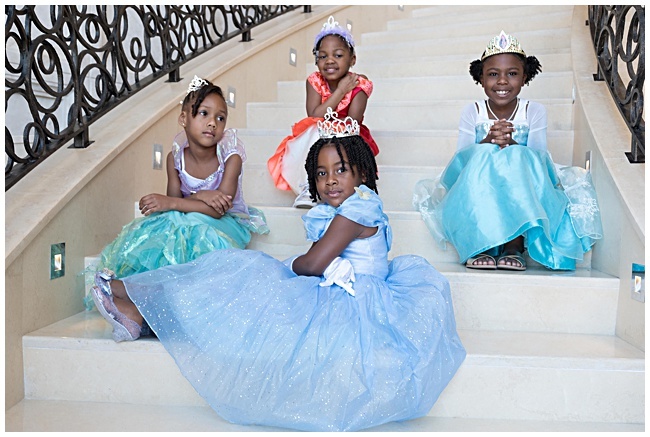 There is an endless parade of princess dolls around my house. 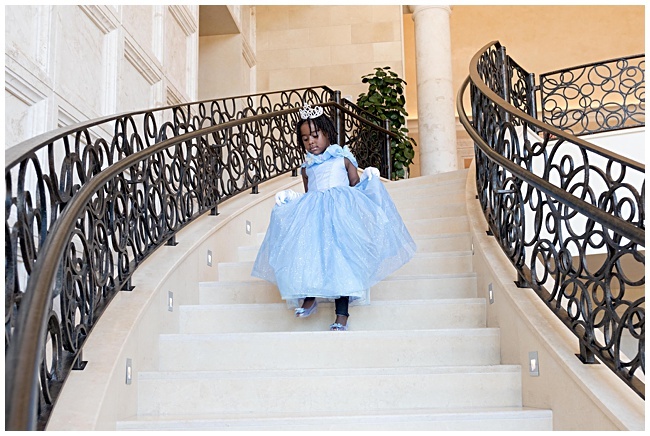 This is what little girls are made of around this time in their life. 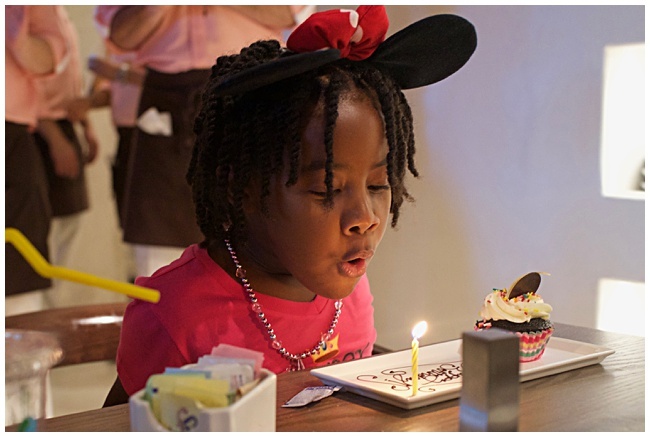 But back to her celebration…where do I begin? 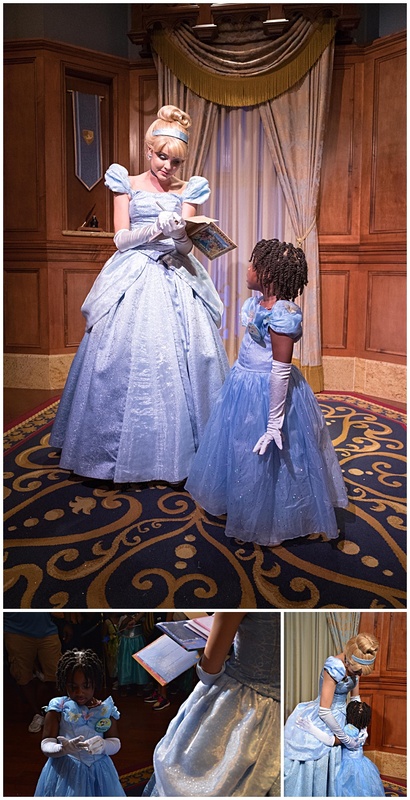 Belle has long been a favorite princess of hers – especially since they both share the same name. 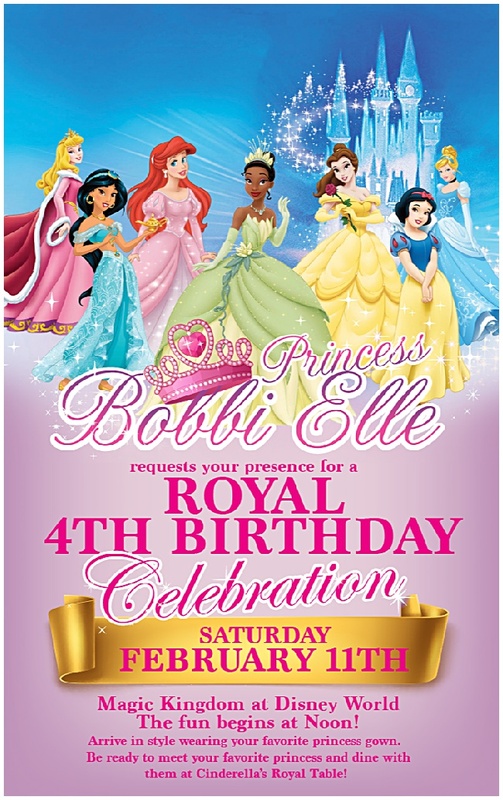 We call Bobbi “Belle” for short…Bobbi Elle (Belle) – get it? Ok…so anyway – they have that connection. 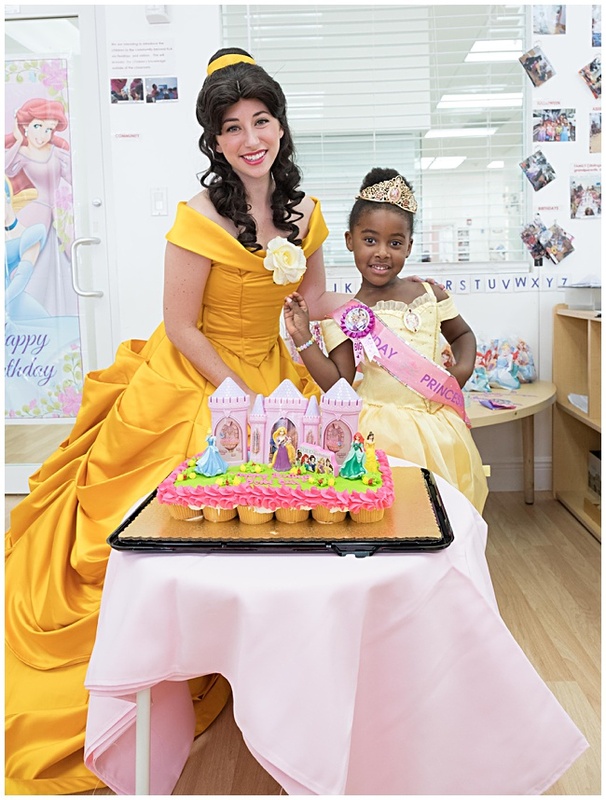 She wanted Belle to visit her school when she celebrated with her friends. This was the first of many things (and cakes) to come! 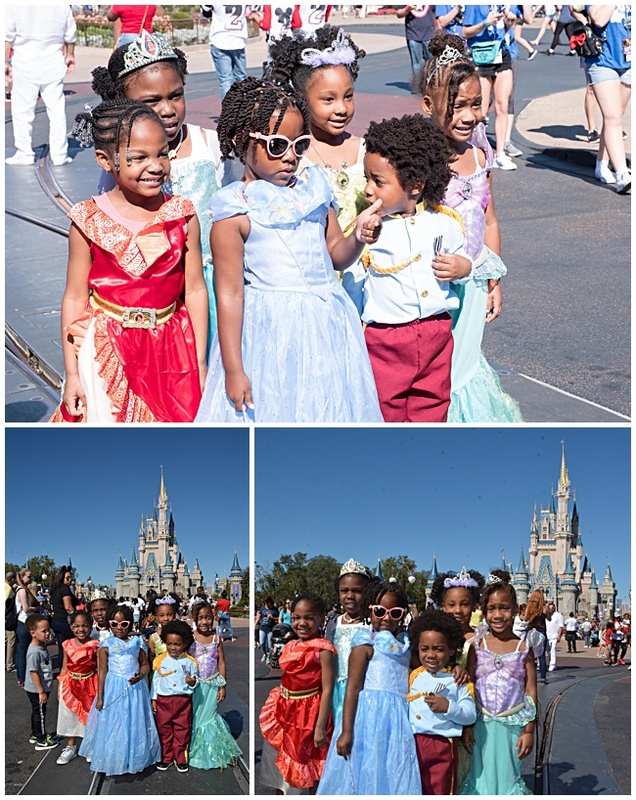 Bobbi invited 5 of her closest friends/cousins to a trip to the Magic Kingdom to celebrate on her big day. 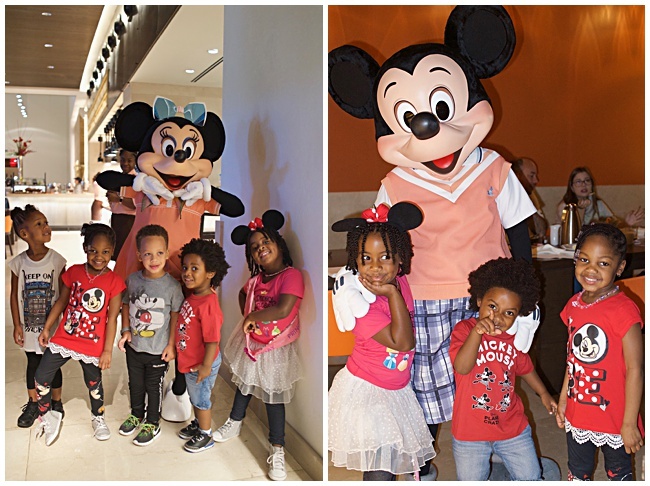 The morning started with a Goofy & His Pals Brunch at the Four Seasons Orlando, where we were staying. 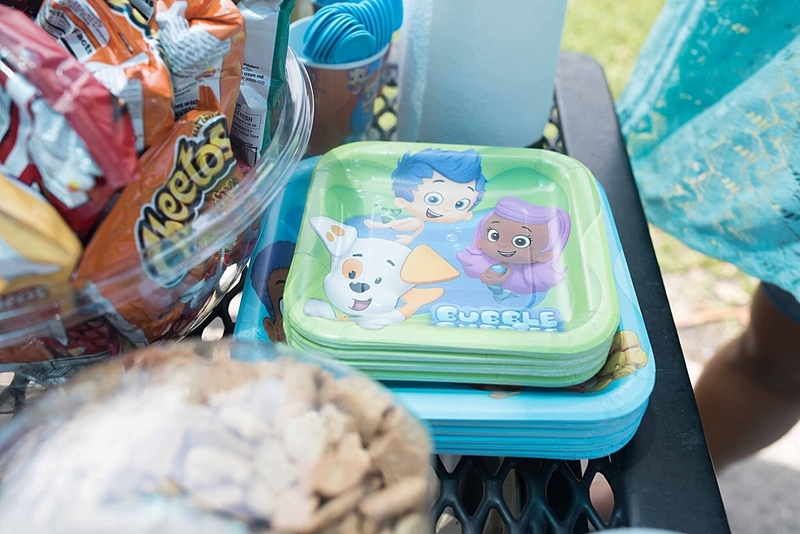 I love this brunch because the food spread is amazing…and the characters really spend a lot of time with the kids as they go from table to table…you get your money’s worth! But the property itself! 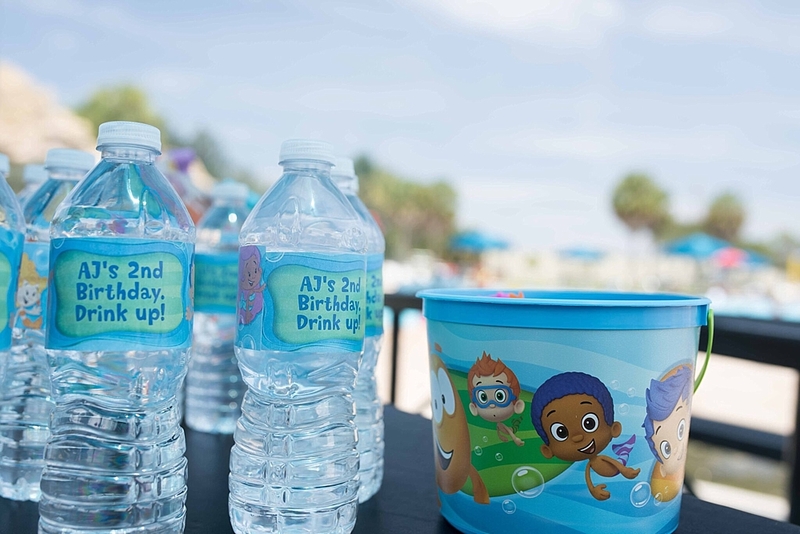 Its one of my favorite places to stay for so many reasons – but mainly because of their rooms with Disney views, their water park and the amenities for kids. Not to mention its about 10 mins away from the theme parks. 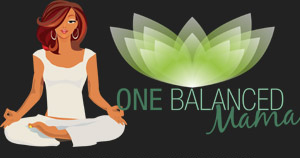 If you are in the mood to splurge or you can catch a good deal – hands down – its the place to be! 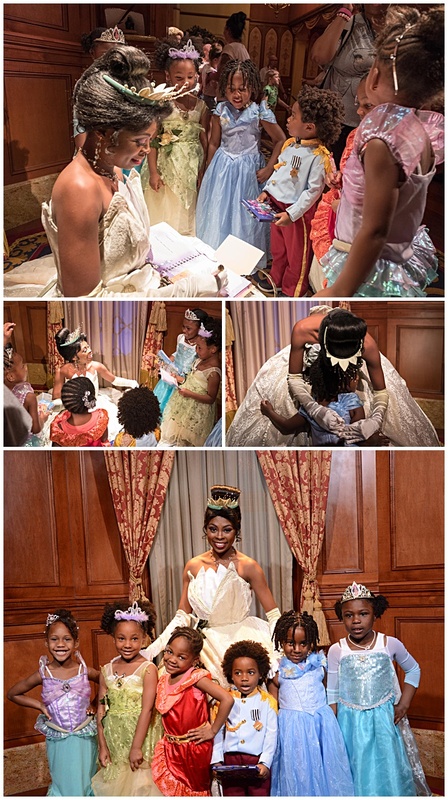 After brunch, the girls went back to their rooms to change into their princess dresses that they were wearing to the park…and to get their make-up done…we’re talking a little eyeshadow and lip gloss. Enough to make them feel fancy! 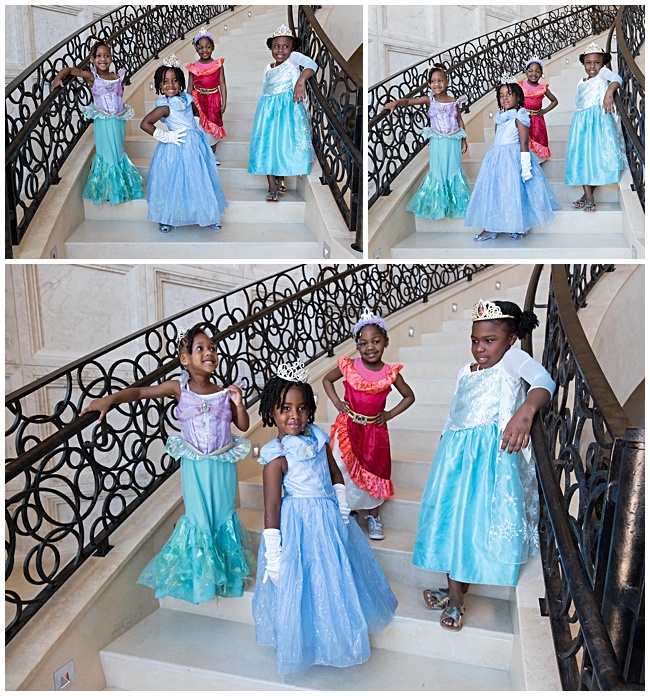 We took advantage of the awesome staircase at the hotel and had some fun doing photos. 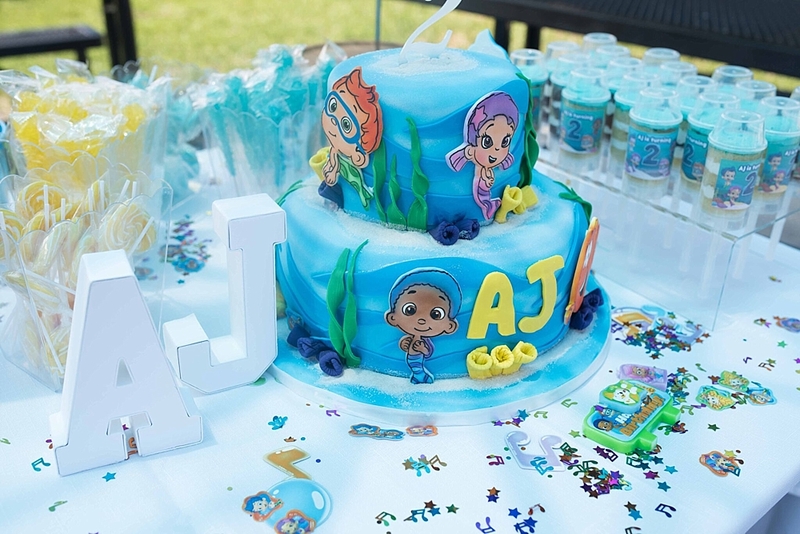 AJ was their Prince Charming! 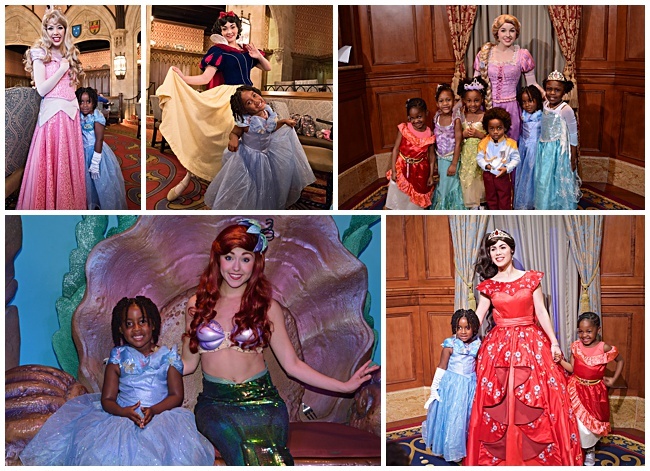 From there it was off to the Magic Kingdom to meet all of her favorite princesses. 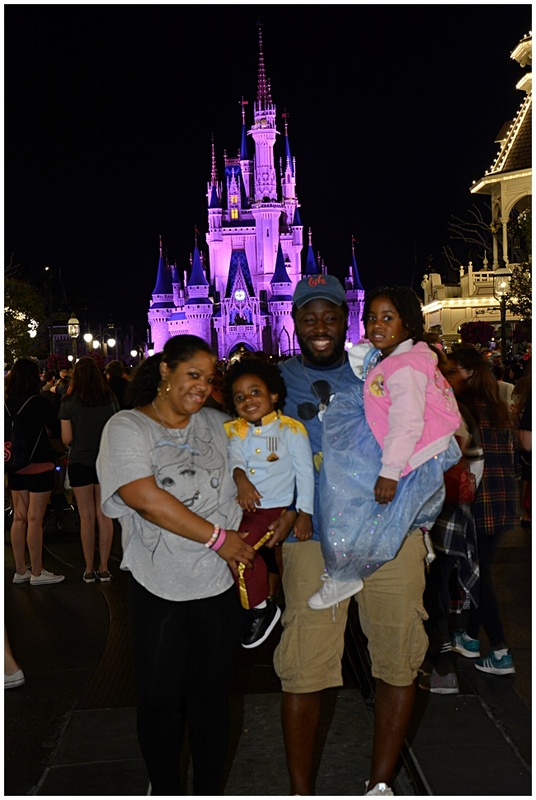 She ended the day with a special dinner at Cinderella’s Castle at the Royal Table and the fireworks spectacular. I’m not sure how any of us survived the day – but we did! we got a surprise gift from our friends at Disney. 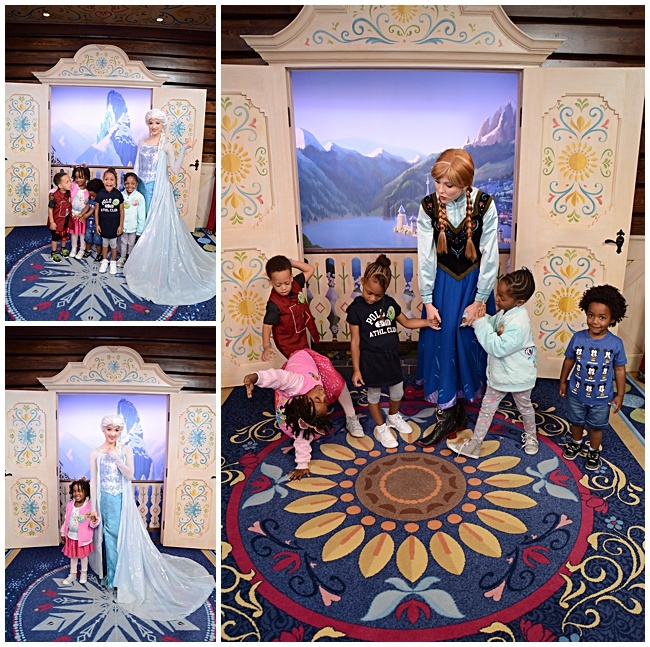 While we only made plans to visit the Magic Kingdom – they gave us two tour guides to take us thru Hollywood Studios to check out the Toy Story Ride and swooped us by Epcot to meet Anna and Elsa and experience the Frozen ride. The following day, I received a call from our friends at Disney. 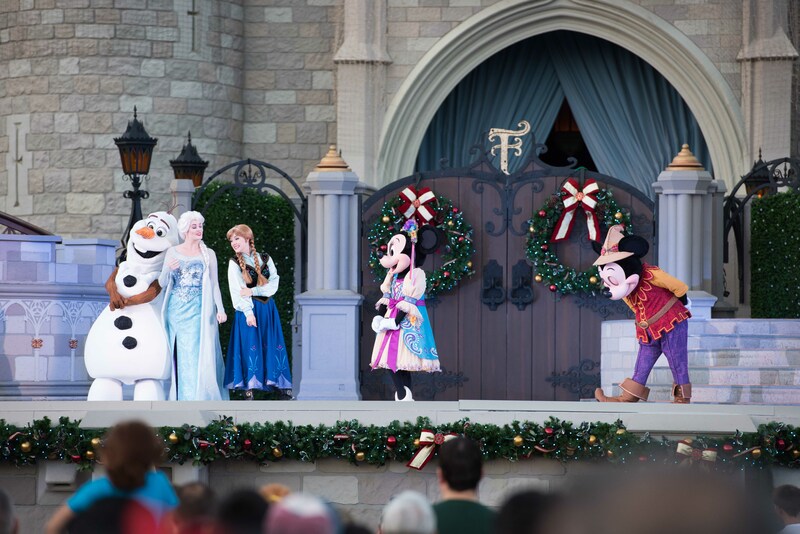 While we had only made plans to visit the Magic Kingdom – they were gifting us with two tour guides to take us thru Hollywood Studios to check out the Toy Story Ride and swooped us by Epcot to meet Anna and Elsa and experience the Frozen ride. I had a happy crew! Needless to say, having the tour guides was a little piece of heaven!!! 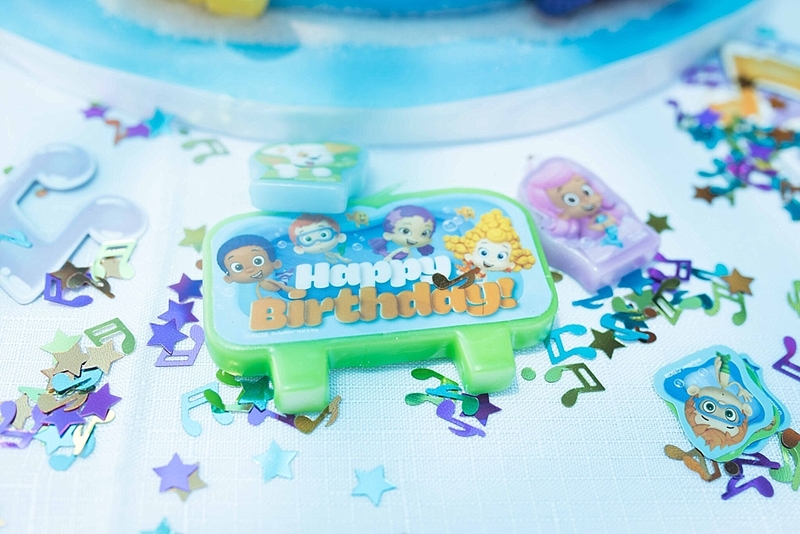 I don’t think we are EVER topping off this birthday…I wouldn’t even try. 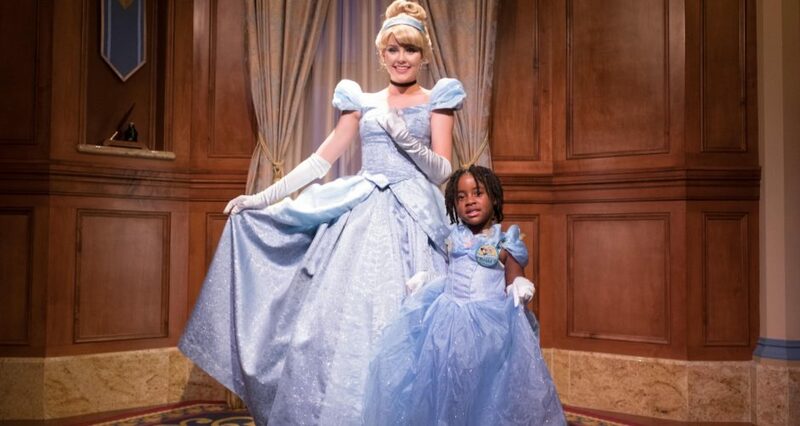 But wow…she is one blessed little girl to have her wishes come true AND to experience it all with the ones she loves. Here’s to a Happy 4th Bobbi! Here’s to a Happy 4th Bobbi! It’s officially the end of the holiday season…at least in my house it is. Our tree was down on the 30th and all decor was boxed up by December 31st. While I normally wait until the first weekend of the year…my allergies started kicking in – and suddenly – I could care less about the pine tree smell in my house…I wanted it out! But going thru my iPhone photos – I can’t help but get a little sad that we have to wait a whole 12 months for that holiday fuzzy feeling. 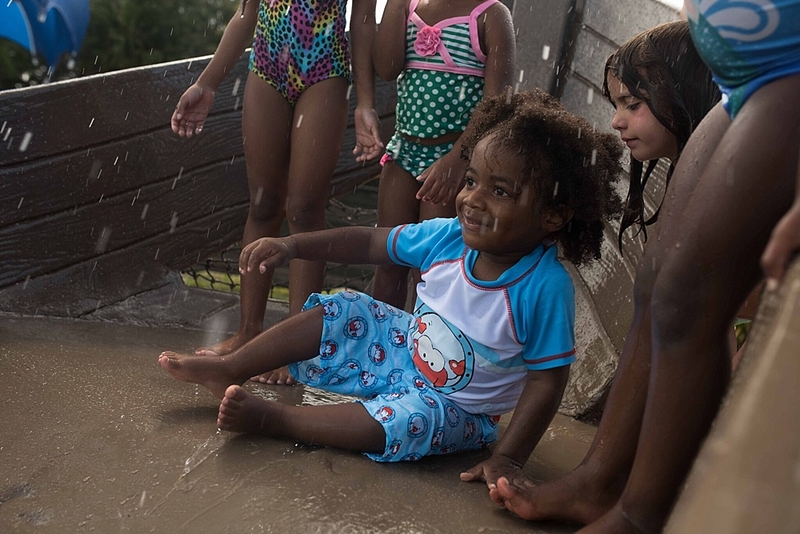 I don’t remember being as excited about the holidays – until becoming a mom. 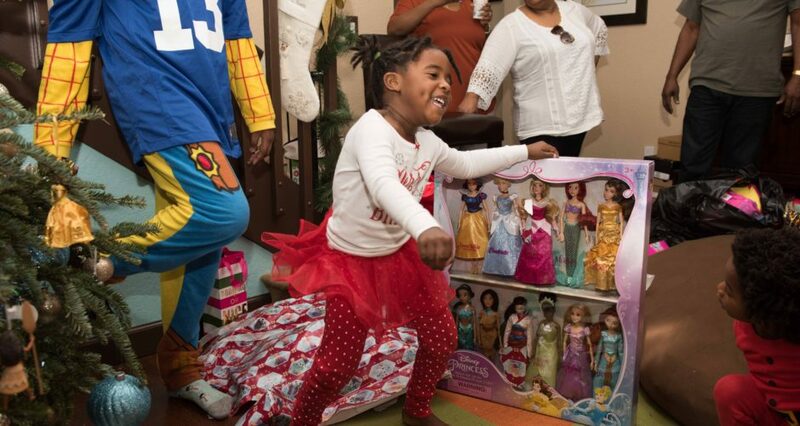 Yea – when I was a kid, I had my fair share of excitement when the holidays came around…but it’s different now. I get to choose how to celebrate, what to do and create traditions for my own family. To me, the best part of the holidays is being together – surrounded by love, the smell of food, and the sounds of laughter. 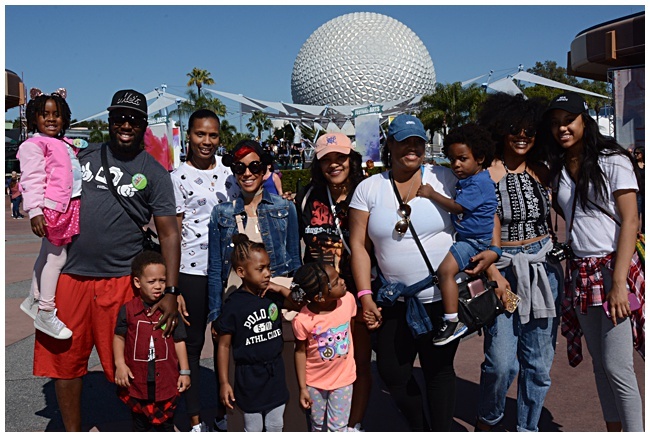 Sharing a few of my favorite things that we did as a family this year – and what’s become a tradition around the Metelus household. Oh Christmas Tree! Once the final Thanksgiving decor is put up – its time to break out the Christmas tree. This year – I started our decorations early by putting up our lights and adding a Santa and a few snowmen to our yard. 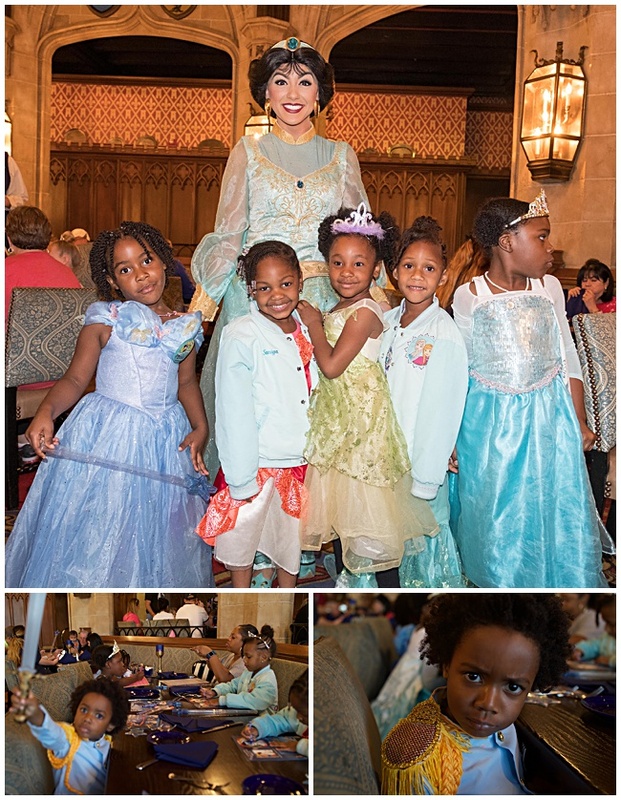 The kids got such a kick out of them. And since I was having a ton of family over for the Thanksgiving break – I wanted our house to be even more festive. But I saved the tree for a few days later – because I didn’t want the stress of decorating with 20 people in my home. 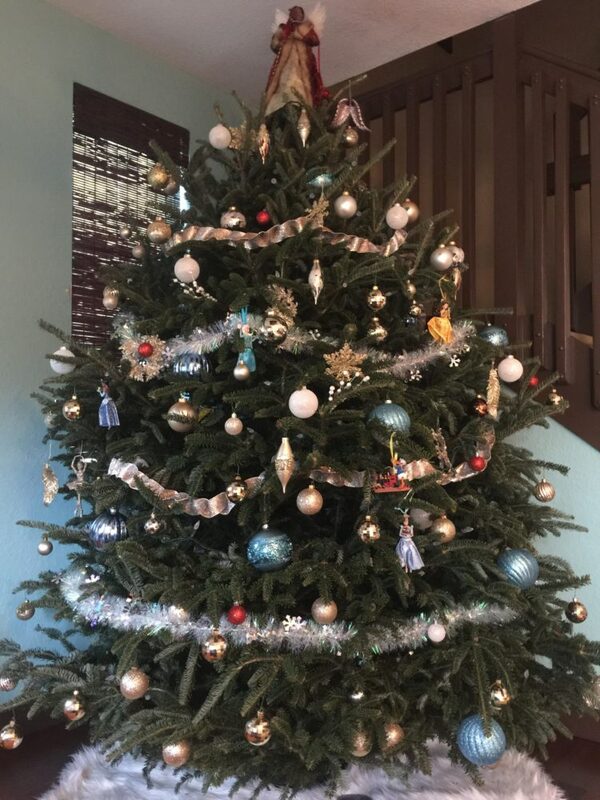 Once we got our tree – as we do every year, Cee-Lo’s Christmas Album and Mariah Carey’s Christmas Album is our soundtrack – as the kids (including my nieces and nephew) get in the holiday spirit as we all decorate. Christmas Tree halfway decorated…almost there! 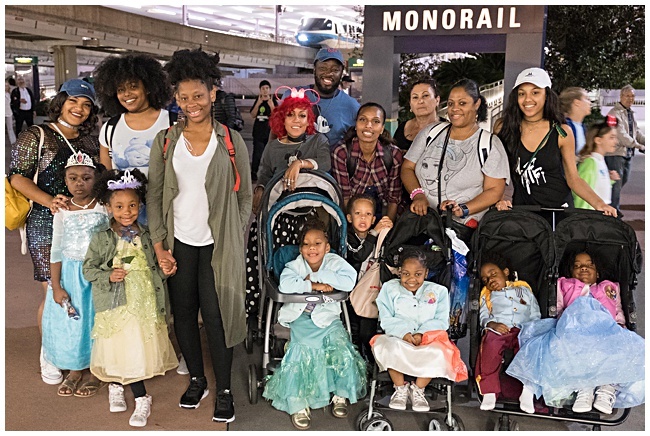 Holiday trip: With the kids out of school for two weeks, it makes sense for us to do a quick family getaway for the holidays…and this year – it was Disney to take part in Mickey’s Very Merry Christmas Party. 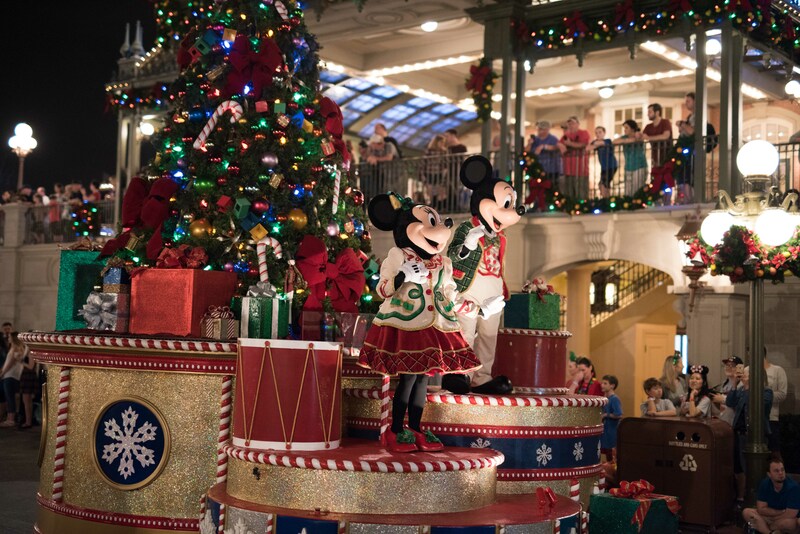 Orlando is always a fun trip for us since we have a ton of famiy there – but taking in the sight’s and sounds of Christmas topped off with Mickey and Minnie – is definitely a winner! 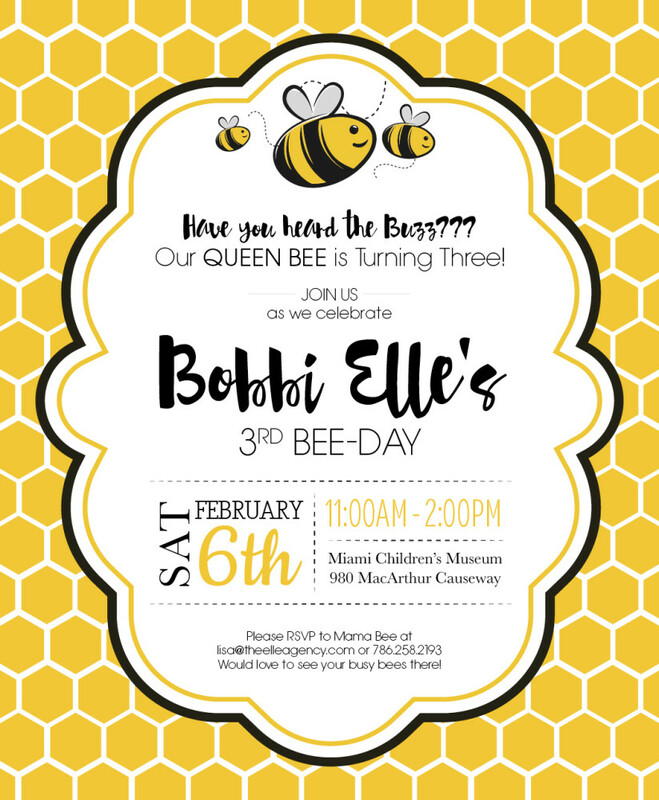 Queen Bee Turns Three!!! 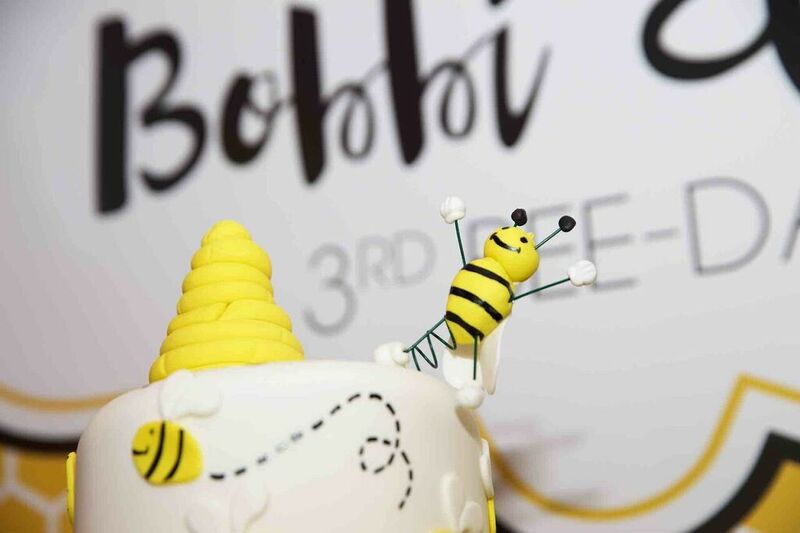 When I posted photos of Bobbi’s second birthday party – one of my followers commented that I should do a bumble bee party for her 3rd birthday. I am not sure who it was – but she definitely gets credit for this idea (thank you if you are reading this!!!). 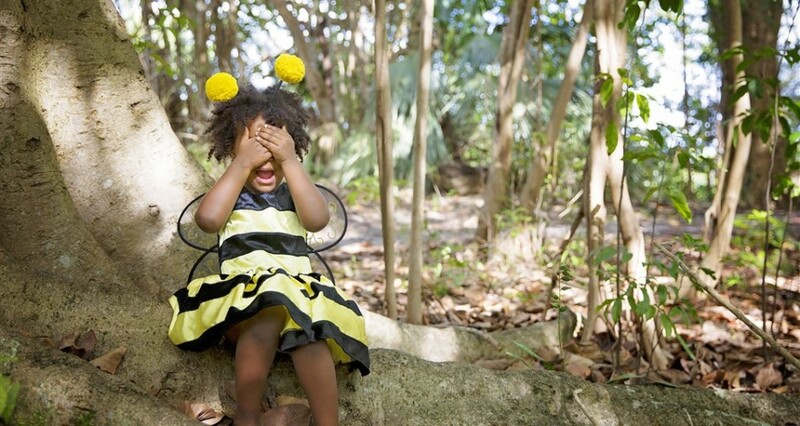 I loved the yellow and black color combo idea – and I knew there was so much to play with when it comes to bumble bees, honeycombs and little girls. 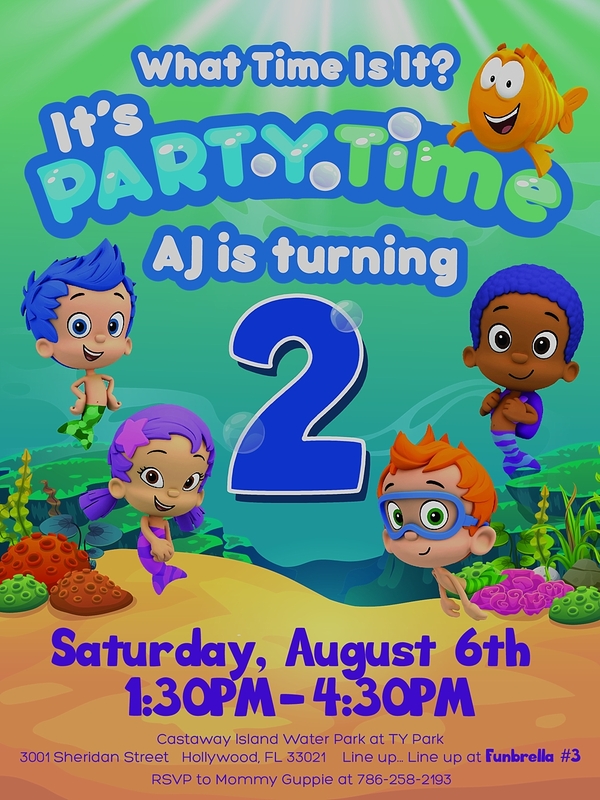 I love planning my kids parties – and get way more hyped about it then they do. 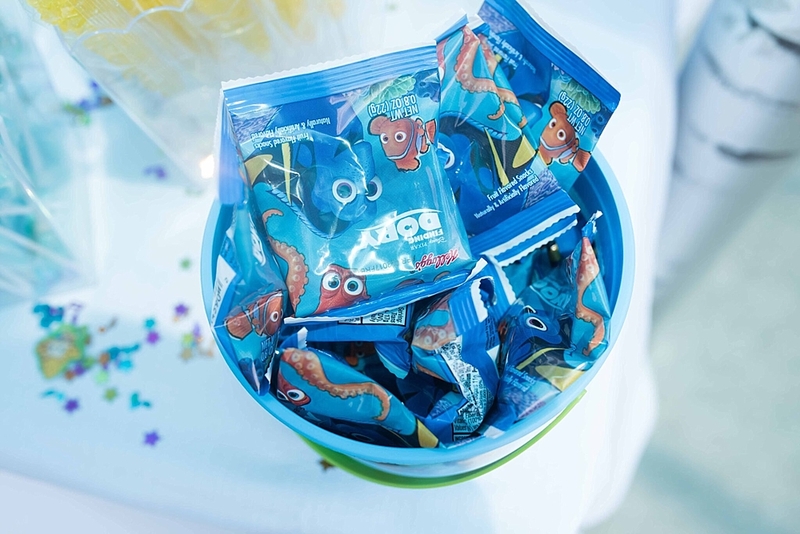 I’m all about the attention to detail and making sure the kids have a FUN time in the process. This party was no different. 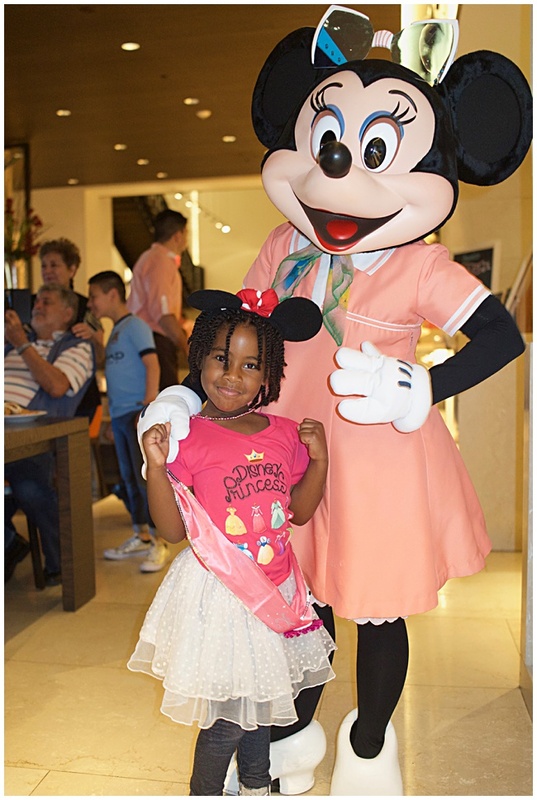 First thing – we secured her favorite place to have fun – which was the Miami Children’s Museum. 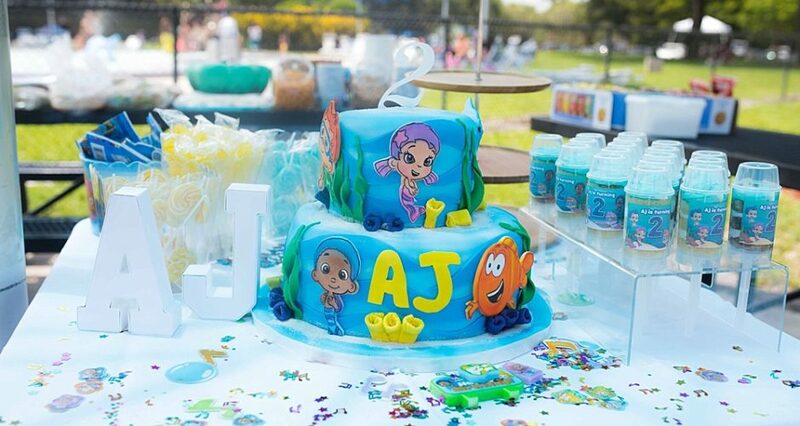 I normally have my kids parties outside (hello…I live in Miami!) – but this time I was looking for something different and a more controlled environment. Thankfully we went this route, because it turned out to be a rainy day. 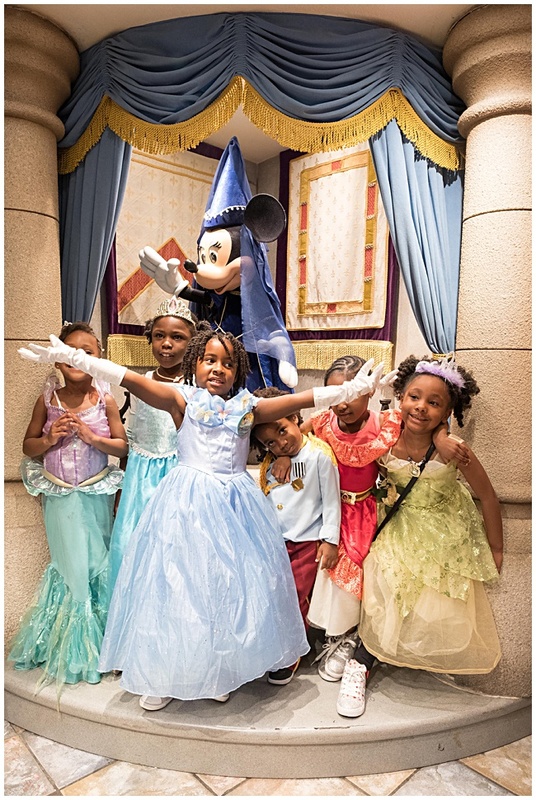 The staff at the museum was beyond awesome to work with and they truly made the whole event seamless. 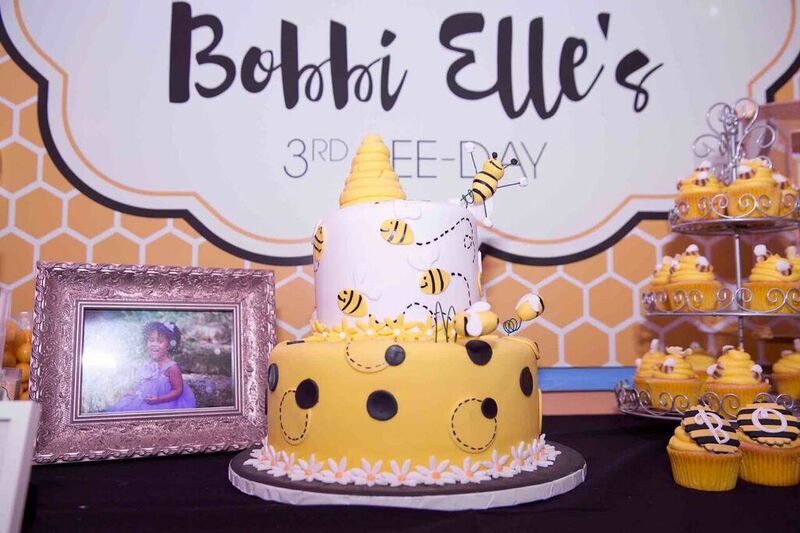 I also tapped into some of my favorite bakers to add some sweetness to the party: Divine Delicacies Custom Cakes made not one – but TWO cakes for Miss Bobbi. And no party is complete without cupcakes from The Butter Creamery. 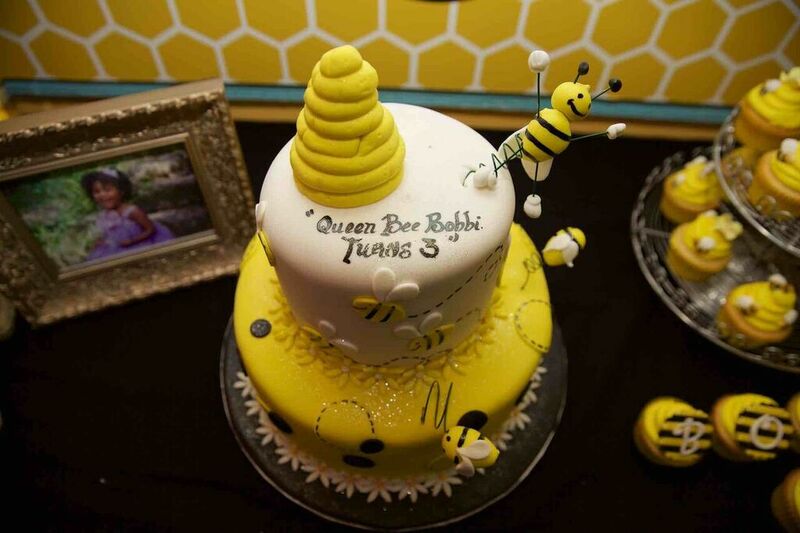 Thanks to everyone who came out to celebrate the Queen Bee’s birthday! 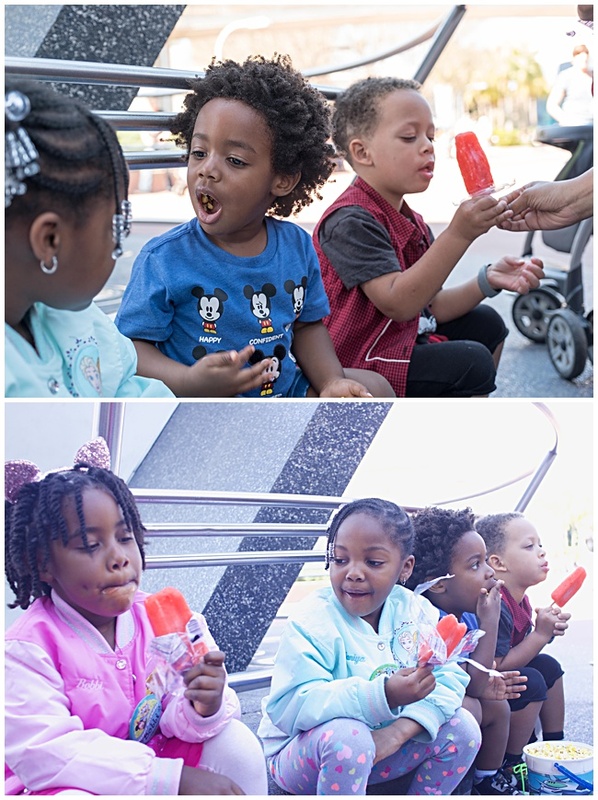 Check out some pictures from the day! The invite to set the tone – created by Mad Studios. 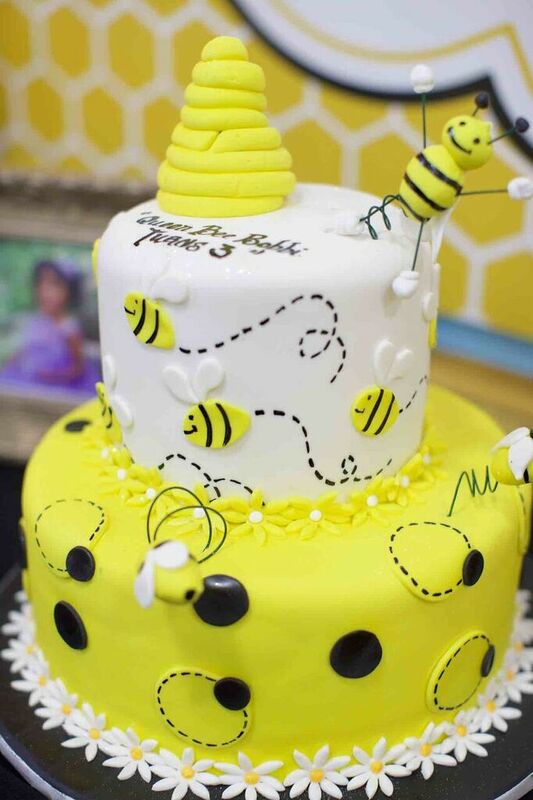 Loved this bumble bee cake designed by Divine Delicacies. Worked perfectly with the theme! Yellow and black set the tone for the party and the desert table. 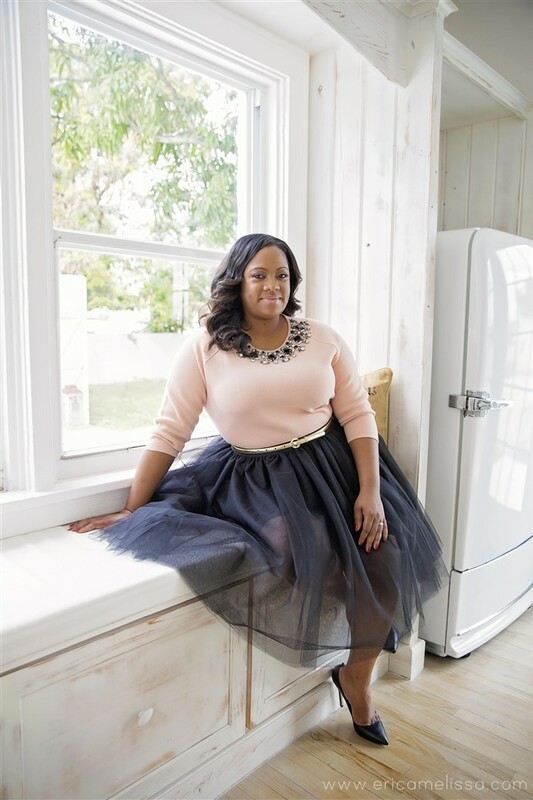 I added framed photos from her birthday photo shoot. Divine Delicacies felt that one cake wasn’t enough! 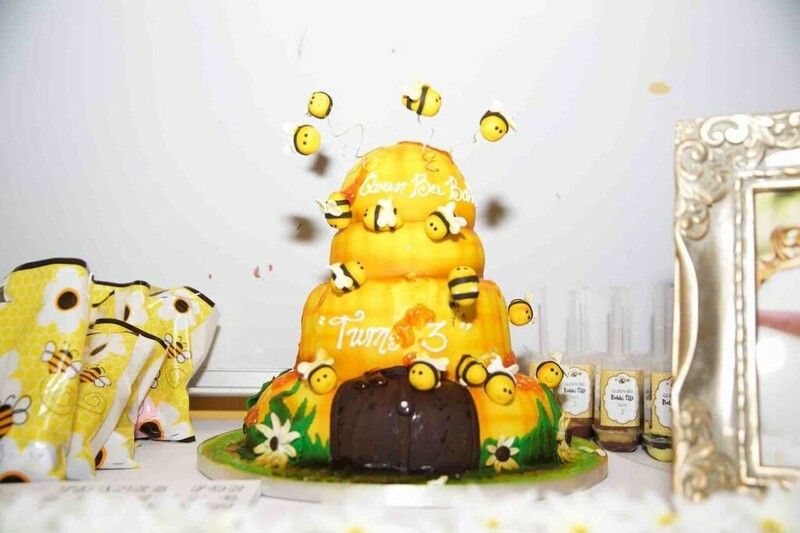 So they gifted us with this honeycomb cake – dripped with honey!